YOU AND YOUR BIKE ‑ CONNECTED AS ONE. 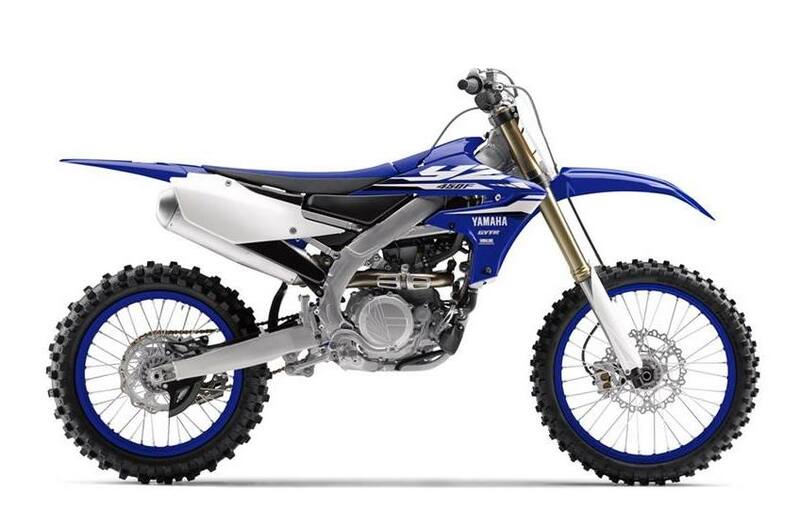 All‑New from the ground up, the YZ450F incorporates electric start, exclusive smartphone app power tuner, new engine, new frame, new slim styling and revised settings to the already industry‑best suspension. All-New Machine for 2018: With an all-new engine, new frame, new bodywork and more, the 2018 YZ450F™ is ready to take the MX open class to a whole new level. So pick your view for 2018: behind the handlebar of YZ450F, or well behind the rear fender. New Frame: Yamaha's bilateral beam frame features new main spars, engine mounts and engine mounting position to further centralize mass and provide an ideal balance between cornering feel and straight-line rigidity. Class-Leading Suspension: Yamaha continues to use spring-type forks with refined, speed-sensitive damping to give industry-leading suspension performance straight out of the box. 2018 brings updated settings to match the updated frame and engine layout. Revised Engine Design: For 2018, the distinct rearward-slanted cylinder design - complete with rear exhaust and forward-mounted intake system - has been completely updated for 2018. The all-new cylinder head is lighter and is now angled more vertically, to work with the updated frame, for optimized front weight distribution. Inside, the engine features a longer, straighter intake tract, more aggressive cam profiles, a new crankshaft, a stronger, higher-compression “box bridge" piston design with DLC-coated piston pin, and more. Together, these updates give the rider an ideal balance of open-class power with exceptional controllability. New Power Tuner App: Breaking new ground in the industry - again - Yamaha introduces the new Power Tuner app, which brings the power of the GYTR Power Tuner to your iOS® or Android® device. Using WiFi to connect to the bike's onboard CAN-bus network, the app allows owners to adjust air/fuel mixture and ignition timing maps to tune engine performance for track conditions, record race log information, and monitor a range of data such as maintenance and system diagnosis, engine run time, and more. Larger Radiators: Updated radiators are larger and angled more directly in the incoming air stream, for improved cooling under the most demanding race conditions. Lighter Wheels: Careful computer-aided refinement of the each wheel's cross-sectional profile shaves valuable weight without sacrificing durability. 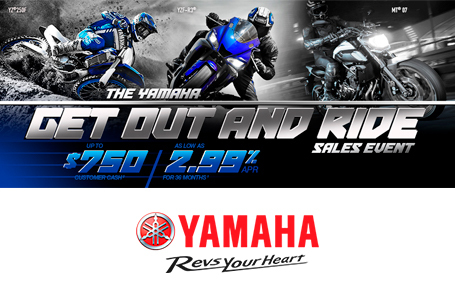 Embedded Graphics: Yamaha's unique embedded graphics are built into the bodywork for extended durability, resisting both peeling and damage, with all new styling for 2018.